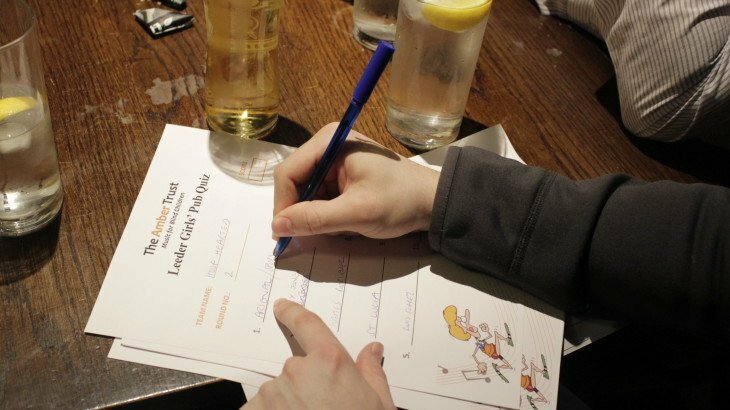 The Amber Trust hosted a pub quiz night on Thursday 26th March and raised over £1,000! The event was brilliantly organised by Helen and Nicole Leeder to raise funds for their forthcoming London Marathon attempt. Around 80 people attended the event at the Sir Christopher Hatton pub near Chancery Lane in the City of London. Everyone at Amber is incredibly grateful to Helen and Nicole for everything they are doing to raise both awareness and funds for our charity.